Here at Debony Salon, we stand pretty solid in the feeling that winter is great. We love to ski, hike, and snowshoe; and many of us are also embarking on the journey of teaching our kids to ski. This means a great deal of time spent on the bunny slopes as we encourage our young one’s to gain the confidence to eventually race past us on the big hills! All of that time on spent outside though, does a number on our skin. Our lips are chapped, our faces are wind-whipped, we’re at the mercy of the sun and our skin’s repair system has to work overtime to restore our skin to its natural state every morning. This can lead to dry and/or itchy skin, redness and discoloration, the dreaded (but hard-earned) goggle tan, and a litany of other skin problems that can sometimes put a damper on what is usually one of our favorite seasons! Thankfully we have our go-to products to help alleviate the winter blues and keep our love affair alive. We’ve curated some of our top lotions, sunscreen and hydration sprays that we arm ourselves with to battle our “Winter Skin Blues.” Come in and try them for yourself. Maybe they’ll fuel your passion for the winter, or help you find a new-found love for this season. We also believe in regularly scheduled facials, whether you get them monthly, quarterly, or bi-annually, they are amazing for reducing inflammation, anti-aging, hydration and more. Cassie Capone and Sara Goulet are both trained in the Aveda Tulasara and Dual Exfoliation facials and Cassie is our resident Esthetician, who gives one of the most pampering facials and is also licensed to use natural and chemical peels if you desire. Take a look at our facial offerings and click to book your next facial! Tulasara Awakening Ritual: This is designed as a daily ritual that exfoliates the skin, increases micro-circulation and nourishes the skin. It’s a two-part system that includes dry-brushing and is followed by massage with a naturally derived oleation oil. This helps to gently exfoliates dry, dull cells from skin’s surface. This also helps support natural cellular turnover, which combats the dry and itchy skin caused by exposure to cold air and high heat (such as the fireplace we keep roaring to stay warm!) The oil creates a veil of moisture and protection that sinks deep into skin creating a barrier from the elements. You have the option of washing the oil off prior to applying your day lotion or keeping the oil on all day or overnight. Botanical Kinetics Intense Hydrating Lotion: This lotion is AMAZING! It’s one of our favorites from the Aveda skin care line. It has staying power, lasting for 24 hours, yet is lightweight with a velvety texture. It’s quick-absorbing and contains healing oils from coconut and jojoba. It protects from dehydration and is designed for all skin types. Aveda Hand Relief: We keep this hand lotion in every pocket of our lives. We have travel and full sizes in our purses, car center consoles, bathroom, and night stand. This ultra-rich formula lasts through multiple hand-washings and has such a high concentrate Andiroba oil. It’s the perfect treatment for the days spent shoveling, carrying skis, washing dishes and more. As soon as we apply it we can feel our hands returning to their summer states and feeling hydrated and refreshed. COOLA Suncare and Liplux Lip Balm: COOLA is such a fun company and the products they make are phenomenal. They strive to make sunscreen the protects the skin and is derived from as many natural products as possible. For its suncare lines, they offer SPF protection in 30 and 50 options and an array of scents for any palatte. Many products are cultivated through the Farm to Face® inititiative, using the freshest, most local ingredients possible, including Cucumber, Algae and Strawberry Extracts. COOLA Suncare comes in two options, spray or lotion, depending on what your lifestyle demands. Formulated withstand water for up to 80 minutes, it can handle a rigorous day of skiing, snowshoeing or hiking. While it’s sometimes counterintuitive to think of getting a sunburn during winter, it definitely happens and can be extremely detrimental to your skin. Its Liplux is a must-have in your jacket pocket. You’ll always want to keep this product around because it’s so easy to lose the battle to chapped lips. As one of the most sun-sensitive parts of the body, this all-in-one lip treatment moisturizes and protects with SPF 30 broad spectrum UVA/UVB protection. The vitamin and antioxidant enriched formula soothes and nourishes, while a unique blend of fruit butters like Raspberry and Avocado hydrate the delicate skin of the lips. It comes in two flavors; Peppermint and Vanilla and Unscented. Jane Iredale Hydration Sprays: Talk about an amazing product! We can’t get enough of Jane’s Hydration Sprays. During the winter, our go-to is the Pommisst and Lemongrass Love Hydration Sprays. They’re high in essential oils to help provide a barrier against the cold and keep our skin refreshed and hydrated when Mother Nature is doing everything she can to dehydrate it. The Lemongrass Love and Pommisst sprays hydrate, condition and protect the skin. They minimize the appearance of pores and are certified ECOCERT Natural & Organic. MoroccanOil Intense Hydrating Treatment: When our skin is just crying for moisture, we reach for this treatment! It’s infused with the aroma of Honey Lavender and provides an incredible skin soothing and smoothing experience. It’s made with antioxidant-rich argan oil and replenishing botanicals, it’s a three-in-one product that can be used as lotion; or it can also be melted and enjoyed as a soothing massage oil to transform and nourish, and added to the bath for a richly hydrating soak. 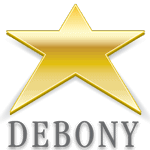 PreviousPrevious post:A Year in Review at Debony Salon!NextNext post:Our Mission at the Salon!